You may have noticed an additional email or two in your inbox lately - North Mill's "Assets Ads." 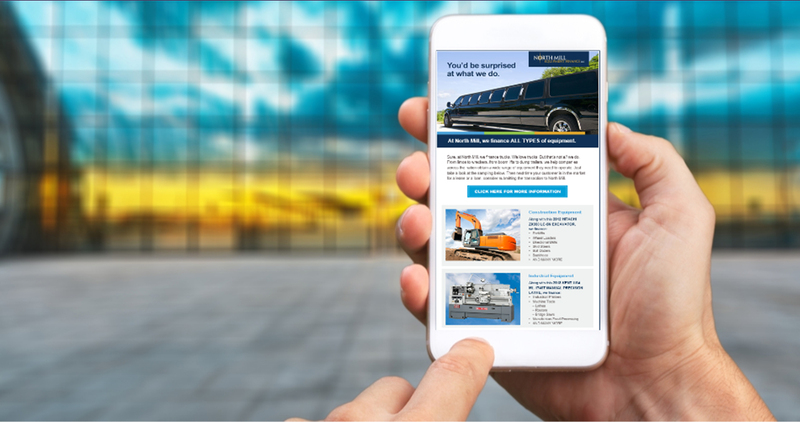 The ads highlight a unique asset that the company recently financed and include other equipment categories the company considers. The Monthly Confidence Index for the equipment finance market is 56.7 in February, up from the January index of 53.4. Designed to collect leadership data, the index reports a qualitatitve assessment of both the prevailing business conditions and expectations for the fture as reported by key executives from the $1 trillion equipment finance sector. For more information on articles in The Compass, or if you're interested in learning how to become a North Mill Referral Source, please email Catherine Cuthbertson at Ccuthbertson@nmef.com or call 1-800-223-6630. This newsletter includes links to other websites and the content within. The articles that link outside this newsletter have not been generated by, nor are they endorsed by, North Mill Equipment Finance LLC. The aggregated content is simply intended to provide direct access to information that a Referral Source may find useful.